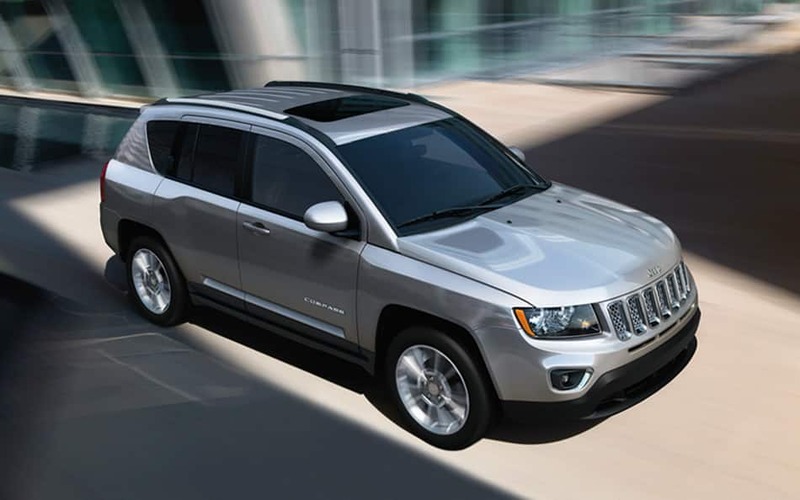 The Thompson Edgewood Chrysler Dodge Jeep RAM dealership is proud to bring you its addition of the 2016 Jeep Compass. The Compass is a four door SUV that brings the best-in-class features with its front wheel drive and all wheel drive systems installed in its four trim models to choose from such as the High Altitude, the Latitude and the SE. The SUV offers the best power and performance, along with amazing interior and exterior features that makes it worth the wait. 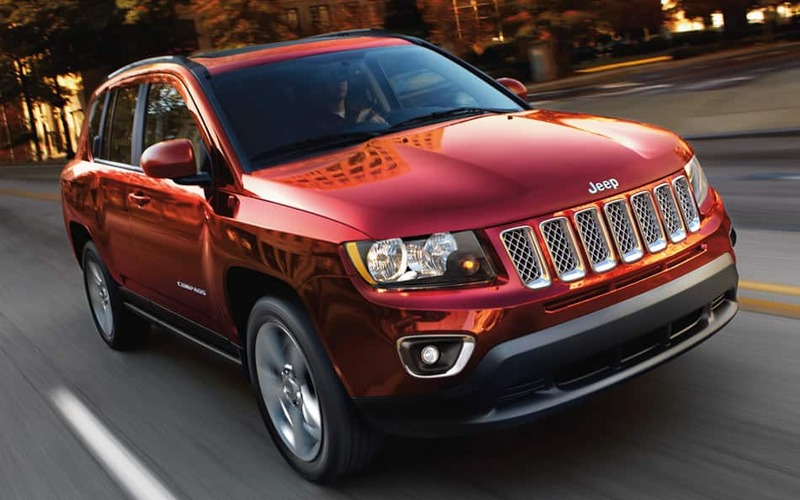 With its Trail Rated Tough Seal of Approval and Kelley Blue Book naming the SUV "One of the 10 Most Affordable SUVs for 2015" its no wonder why Thompson Edgewood is bringing the Jeep Compass to the showroom. The Compass brings its best power and performance features to its body with a few options to choose from, one of the featured engines is the 2.4-Liter World Engine. the World Engine is constructed with high-pressure die-cast aluminum block with dry iron liners, cast-aluminum cylinder head, cast-aluminum ladder frame, and a forged steel crankshaft while offering a four-cylinder inline. With its 6F24 six-speed Power-Tech transmission with auto-stick can produces power of 172 HP @ 6,000 RPM and 165 ft-lbs of torque @ 4,400 RPM. Also adding to the power is its towing feature that can pull a maximum of 2,000lbs adding a payload of 925lbs. With an EPA fuel economy of a combined 26-MPG (22-city/24-highway) on a 13.6-gallon tank, it does not disappoint once. For the performance, the SUV offers the best features with its Freedom I & II systems, with Freedom II adding a selectable locking Off-Road mode with Hill Descent Control along with grade-sensing features and a boost to the crawl ratio. In low-speed Off-Road LOCK mode, torque is adjusted on demand for added response and efficiency. This system's capability and control handles most difficult road situations both on-and off-road, including deep snow, mud and up to 19 inches of water. 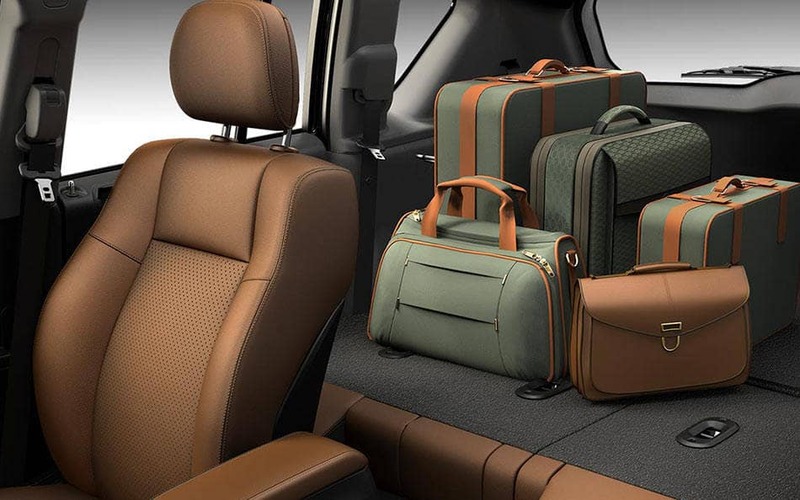 The Compass shows off its interior and exterior in style with its exclusive package offers from select trim models. One of the offered trim models is the Compass Latitude, which features the best-in-class capabilities to the SUV. The Latitude offers plenty of options for its wheel covers such as the optional 17-inch x 6.5-inch aluminum wheels with plenty of LED lighting for its headlamps and taillamps, its signature seven-frame grille with a chrome feature, with a bright exhaust tip system, and solar control glass, just to name a few exterior features, the interior comes with five passenger Katzkin black leather material, with the option of premium cloth material, a acoustic windshield, brighter interior accents, a power sunroof and its signature Uconnect Access System. I want to come in to service my vehicle, but is there a way I can compare prices with other service centers? Head to our Dare to Compare section to see what services are affordable to you! Dare to Compare! Do you have any Pre-Owned Specials right now? What is your Parts Centers phone number? The Jeep Brand offers the best safety features to give the driver the feel of comfort when on the off-road, with up to 30 selectable safety and security features to choose from, its no wonder why the brand is the most trusted. With its standard airbag features, the Compass also comes packed with its off-road features such as hill-start assist, traction control, electronic stability control, and its Parkview rear backup camera. The Jeep Compass proves that its worth the floor space at the Thompson Edgewood showroom with its unique features and trim model offers that makes it worth it.